Three Reasons Why I Signed My Business Up for Facebook, Twitter - A Digital Marketing Agency | IIAS - International Internet Advertising Services Inc. I believe that we are currently experiencing the most social the world has ever seen, with hordes of social networking sites proliferating in the Internet, with new ones being introduced everyday. Despite this smorgasbord of social networking platforms for my online marketing needs, I have decided to focus the bulk of my efforts on two sites in particular—Facebook and Twitter. Here are the three reasons why I signed my business up for Facebook and Twitter. 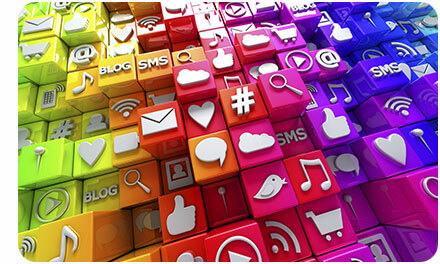 It is undeniable that Facebook and Twitter are the two hottest social networking platforms. If I want to reach as many people as I can with the least amount of effort, and if I want to bring my company, products, and marketing efforts to as wide a network as possible, then it only makes sense to join the platforms with the most number of dedicated, engaged users—Facebook and Twitter. Facebook, with its hundreds of millions of users, has penetrated all of the United States, as well as most of the world (with the exception of China, wherein it is banned). Twitter, with its ease of use, also has millions tweeting and twittering 24/7. Signing up my company for those two lets it become part of that globalized network, and brings it that much closer to a personal (if virtual) relationship with its target market. When Facebook held its successful initial public offering, which raised $16 billion, the world got to be awestruck over how much a bunch of profiles cost. And yet, for me, that also was the one of the biggest formalized acknowledgment of the valuation of the information that can be mined from social networking sites. It was also the first time such a publicized actual payout for a social networking site happened. This is testament to how much information are really worth. I understand that information is power and wealth—I need to have data to understand my target market and to market my products. Both Facebook and Twitter offer me a treasure trove of the information that I need. I don’t believe in buying information about my target customers from a third party source. But everyday, users of those networks voluntarily post interesting and personal facts about themselves, and if my research team is doing their work right, then those posts only make it easier for me to tailor the company’s products and services to them. The market research can even be done in as personal a manner as simply asking my followers and their networks: “Do you like this new product? What service do you want from us? Are you satisfied with our service? Where do you want us to set up a new branch?” Facebook’s comments and Twitter’s hashtags are also very useful tools in getting market information. Of course, as a businessman, I want to cover all (or as much as possible) of my bases and I eventually signed up my company in some other social networking sites, mostly with niche followers, such as Instagram and Pinterest. And what do you know, Facebook and Twitter also both gave me a way to connect to those other sites and update them by just logging in to either Facebook or Twitter. This allows me to position my company so that it is wherever my target customers are, making my online marketing efforts pervasive and consistent.